This Event has been read: 605 times. 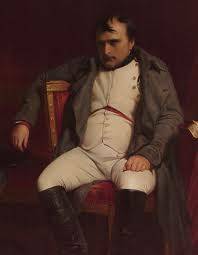 "Nothing makes the future look so rosy as to contemplate it through a glass of Chambertin." The Wine Bar’s future looks rosy indeed as we only have one night we are not booked again next week so for regular service we are only open on Thursday night. We have the Wine Cave now for all our wine events and we have two great events next week featuring Giuseppi Rinaldi Barolo on Thursday night and one of the hottest producers from Mount Etna taking center stage on Friday night. You can see what nights we are open to the public at the Wine Bar on our Wine Events section of the website at www.winewatch.com. Etna itself flows in the lymph of the Cottanera vineyards. Its vines grow over lava stone, 700 meters above the sea, on the northern slope of the mountain, rising and twisting with an air of the volcano, becoming the mirror of a unique, precious territory, a fascinating land. With 65 hectares covered with vines, Cottanera is showing an ever-increasing learning curve. In 2011, after changes regarding production methods of ETNA DOC, it was possible to indicate the geographic area of the origin of the grape on the label, so as to enhance and heighten the differences and singularities of the Etna lands. Cottanera aims to highlight the uniqueness of their vineyards with their five producing areas: Cottanera, Diciassettesalme, Calderara, Feudo di Mezzo, and Zottorinoto. After the death of Guglielmo, his children, Mariangela, Francesco and Emanuele Cambria, along with their uncle Enzo, felt like it was the time to express the differences that each small, treasured area of Etna gives to these indigenous volcanic varietals. 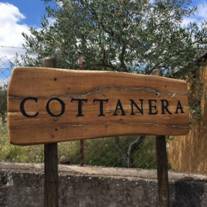 Come out and taste one of the bright new stars of Mount Etna with our host Enzo Cambria from Cottanera winery. Chef Toni Lampasone will be making a special meal to accompany the tasting wines featuring traditional dishes from Sicily. The fee for this tasting including dinner is $75 + tax, for reservations call 954-523-9463 or e-mail andy@winewatch.com. This is the Rivetti's newest project, Giorgio has always been a big fan if great Champagne and sparkling wine and there is great potential for Sparkling wine in the Piedmont, Contratto was founded in 1867 by Giuseppe Contratto and the winery is known as the oldest producer of sparkling wine in Italy. So this was a natural choice for them when the estate became available. The Millesimato Brut is 80% Pinot Noir and 20% Chardonnay. The wine spends almost four years on the yeasts before disgorgement and is finished with a dosage of 5g/l. This wine has a nice developed bouquet of almond, white flowers, pear and apple fruit on the nose. A smooth and creamy mouse on the tongue with layers of flavors on the finish and nice freshness with good minerality showing through the finish. The 2011 For England Rose is another compelling wine. A host of rose petal, chalk, white pepper and sweet red berry scents open up effortlessly in the glass. Precise and finely sculpted, finishing with superb power and length and lingering mineral and floral notes, the 2011 can be enjoyed now or cellared for at least a few years. 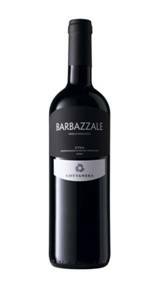 Distinguished by its floral notes and hints of ripe fruit, and aromatic herbs. 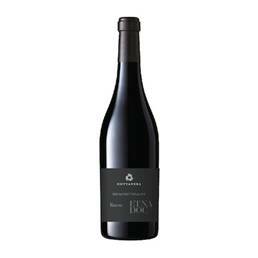 A rich wine, with a full bodied flavor which represents within itself the characteristics of the volcanic soil. Made from 95% Catarratto grapes. Straw yellow in colour, with light green highlights. Mixed, delicate scent of wisteria and broom on an iodine background. A spirited freshness, leaving a pleasing, full-bodied sensation. Made from selected Carricante grapes. 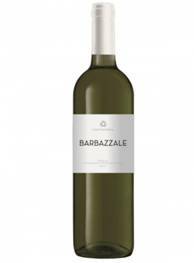 Scents of fresh citrus fruits (grapefruit) to slight vegetal aromas. The reductive evolution of this wine releases mineral, flint-like notes which, once poured, give it a distinguished character. On tasting, it reveals great body, with the right level of acidity, to give a fresh, long-lasting sensation. Nerello Mascalese with a low percentage of Nerello Cappuccio, is vibrant ruby red, perfect for first-time wine drinkers. Delightful scents of raspberry and blackberry, wild flowers interwoven with light mineral scents. Very pleasant freshness on the palate, with a fresh tasting hint of acid. 100% Nerello Mascalese. Its unusual name is linked to the district that is home to the vine, the Contrada Diciassettesalme, indicating an extension of 25 hectares corresponding to 17 Sarme, an old Sicilian units. It’s a red intense color and fine tannins, which brings with it the scent of Sicilian volcanic earth. The fee for this tasting which includes dinner is $75 + tax for reservations call 954-523-9463 or e-mail andy@winewatch.com. 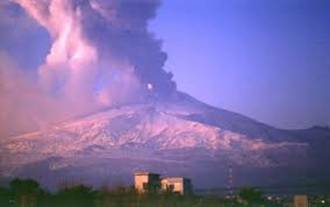 Mount Etna wines are on fire now! Wine Enthusiast included 4 wines from Etna on their Top 100 of 2016.
International Wine Review (Steve Tanzer) selected 2 wines from Etna in his 2017 Top 100. 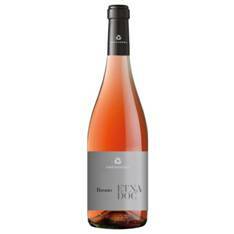 James Suckling included 3 wines from Etna in his Top 100 Italian Wines of 2017. Wine & Spirits Magazine also included a winery from Etna in his 2017 Top 100 Wineries.